While tile designs can make or break the entire aesthetic of a home, tile installation done with improper grouting techniques can lead to problems like discolouring and dislodging of tiles. With this, most homeowners opt for a regrouting services to solve the problem. The tiled area should look newly installed once the grout repair is done. Regrouting is a two-step procedure that is performed by experienced tiling contractors in order to restore tiled areas. The first step involves the removal of hardened, old grout between the tiles. This step should not take a while as contractors should have the necessary tools to remove the old grout. Once the grout is removed, a new grout layer is applied in between the seams. The entire tiled surface should look good as new once the newly forced grout is dried and the tiles are cleaned. Take note that grout repair in Singapore should involve these two procedures to ensure that the technique is done properly. Regrouting is a great way of renovating tiled floor and walls if you do not want to reinstall new tiles. It’s a great solution to prevent mold or mildew from reoccurring over time. Grout repair is also mandatory if the tiles in your HDB flat are coming off because of wear-and-tear. Old grouts can crack and pop out in areas like bathrooms and kitchen sinks. 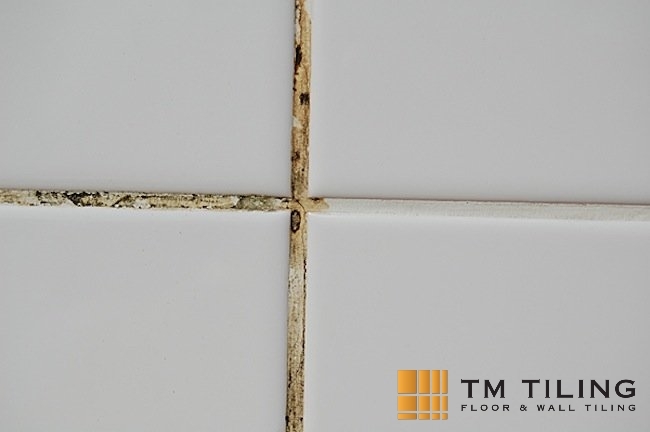 With regrouting, you can prevent tiles from losing their natural position in such areas. A lot of people in Singapore are considering tile grout repair solutions because old grouts are almost impossible to clean. When faced with such a problem, consider engaging in regrouting services instead of trying to clean old grouts. Deciding to remove old grouts to undergo a grout repair will ensure that your tiled areas are given a breath of fresh air. Not only will your tiles look new, but it will also be free of germs and bacteria. Instead of reinstalling brand-new tiles, regrouting is considered a more cost-effective solution for homeowners with a limited budget. 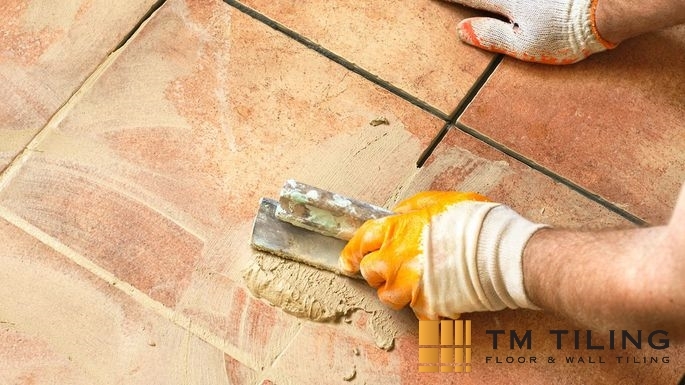 TM Tiling Contractor Singapore offers premium grout repairs that will bring life to old, dislodged tiles. Additionally, we also provide tile installation and other tile repair services. Browse our wide range of successful projects to find out more about our tiling works. Looking for a reliable grout repair service? Call us now at +65 6653 5655 or email us at enquiry@tmtiling.com! Our team of tiling experts will get back to you as soon as they can.